What is a Gapmer? – Bio-Synthesis, Inc.
Home › Bioanalysis › What is a Gapmer? A gapmer is a chimeric antisense oligonucleotide that contains a central block of deoxynucleotide monomers sufficiently long to induce RNase H cleavage. The central block of a gapmer is flanked by blocks of 2’-O modified ribonucleotides or other artificially modified ribonucleotide monomers such as bridged nucleic acids (BNAs) that protect the internal block from nuclease degradation. In many earlier studies modified DNA analogs were investigated for their stability in biological fluids. In the majority of these experiments phosphorothiote DNA analogs were used. More recently, several types of artificial nucleotide monomers including BNA monomers have been investigated for their usefulness in the design of gapmers. Gapmers have been used to obtain RNase-H mediated cleavage of target RNAs, while reducing the number of phosphorothioate linkages. Phosphorothioates posses increased resistance to nucleases compared to unmodified DNA. However, they have several disadvantages. These include low binding capacity to complementary nucleic acids and non-specific binding to proteins that cause toxic side-effects limiting their applications. The occurrence of toxic side-effects together with non-specific binding causing off-target effects has stimulate the design of new artificial nucleic acids for the development of modified oligonucleotides that provide efficient and specific antisense activity in vivo without exhibiting toxic side-effects. Blocking of the translational apparatus. Induction of cleavage of the target RNA by RNAse H.
Gapmer antisense oligonucleotides utilize the second mechanism by recruiting RNase H to selectively cleave the targeted oligonucleotide strand. The cleavage of this strand initiates an antisense effect. This approach has proven to be a powerful method in the inhibition of gene functions and is emerging as a popular approach for antisense therapeutics. RNase H is a ubiquitous enzyme found both in the nucleus and the cytoplasm of all cells. RNase H specifically recognizes the A form RNA strand and the B form DNA strand. The enzyme hydrolyzes the RNA of the RNA-DNA heteroduplexes formed after sequence-specific binding of antisense oligonucleotides to their target mRNA or lncRNA. The resulting degraded mRNA will not be translated into the corresponding protein. The result is the down-regulation of the targeted protein sometimes also called gene silencing. Structural model of RNase HI from E. coli. [^ PDB 1JL1; Goedken ER, Marqusee S (December 2001). “Native-state energetics of a thermostabilized variant of ribonuclease HI”. J. Mol. Biol. 314 (4): 863–871. The major function of RNAse H in cells is to remove RNA primers from Okazaki fragments and to process R loops to modulate replication initiation and restore DNA topology. Additionally to removal of the template RNA after synthesis of a complementary strand the enzyme has other roles. These include production of a polypurine primer for the second-DNA synthesis. The enzyme is also essential for the antisense techniques that degrades mRNA and reduces gene expression. The very specific coordination requirements of Mg2+ ions contribute to its substrate specificity. Nowotny et al. conclude when inspecting the crystal structure of RNase H that depending on the symmetry of the metal-ion coordination a conserved active site may catalyze unidirectional hydrolysis or sequential cleavage and strand transfer by a ping-pong mechanism. A properly designed synthetic oligonucleotide modified with bridged nucleic acids (BNAs) is able to initiate cleavage of the RNA strand with minimal irrelevant cleavages. Short stretches of nucleotides are known to bind promiscuously in most genomes leading to off-target effects. Kurreck et al. 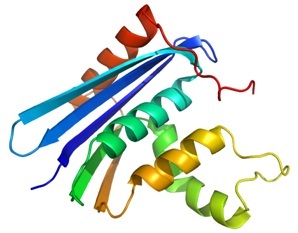 in 2002 investigated design properties for BNA modified gapmers used to knock down the vannilloid receptor type 1-like protein 1 (VR1L1). There results showed that BNA/DNA antisense oligonucleotides need to contain a stretch of seven to eight natural DNA monomers to activate RNAse H cleavage of the target mRNA. Furthermore, three BNA monomers at the 3’- and 5-ends are sufficient for the protection against exonucleases. where B indicates a BNA monomer and n indicates a DNA monomer. Kurreck J 2003 Antisense technologies: Improvement through novel chemical modifications. European Journal of Biochemistry 270: 1628-1644. A Pubmed search showed 38 publications that use the term ‘gapmer” as of April 2013. The following reference mentioned the term for the first time. BSI can help you with your nucleic acid design.